detroit cracked iPhone screen repair Archives - Detroit's Best Cracked iPhone & iPad Repair Team! 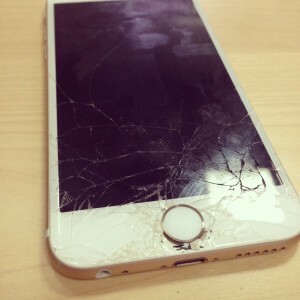 Are you looking for the Cracked iPhone Repair Cost? Look no further – you’ve come to the right place. iRepairMotown is the service to use when looking for a way to replace the cracked screen on your iPhone. This is what Albert did. Last week he dropped his iPhone in his garage and cracked the screen. The result you can see in the picture. This was one of his most favorite possessions. But sadly the fall on the garage floor had shattered the screen. When Albert got to his office, he began asking around. Did anyone know how much a cracked iPhone repair costs? Fortunately for Albert, one of his colleagues knew the answer because he had used our service before. Albert was recommended Detroit’s Best iPhone Repair Team – iRepairMotown! A few minutes later when Albert arrived in his office, he began to do his research. He did a Google search for Cracked iPhone Repair Cost in Detroit and quickly found us. Within minutes he was on the phone setting up an appointment. Cracked iPhone Screen in Detroit? Carl was not a happy camper after this weekend when he discovered that he had a cracked iPhone screen in Detroit. Life was going so smoothly for him. It was the summer time. He was with friends. He was close to the water and cold beverages. Unfortunately, however, his iPhone decided to take a fall while he was walking on the concrete towards his car on Saturday afternoon. He told us he was just grabbing a sandwich at the local deli and was walking back to his car when he reached in his pocket to grab his keys. His iPhone decided to beat him to the punch. It fell out and went tumbling to the ground. When he picked it up he saw that he had a cracked iPhone screen in Detroit. Ugh! No fun! This iPhone was his baby. He had spent a fortune on it and was now stressed that he would have to spend another fortune to get it replaced or fixed. 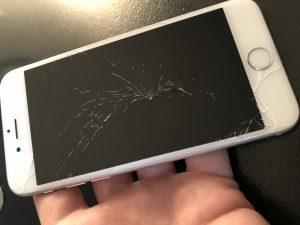 After a few tears were shred (he admitted it), he went looking for a iPhone repair service that could repair his cracked iPhone screen in Detroit. Within a few minutes he stumbled upon iRepairMotown and decided to give us a ring. 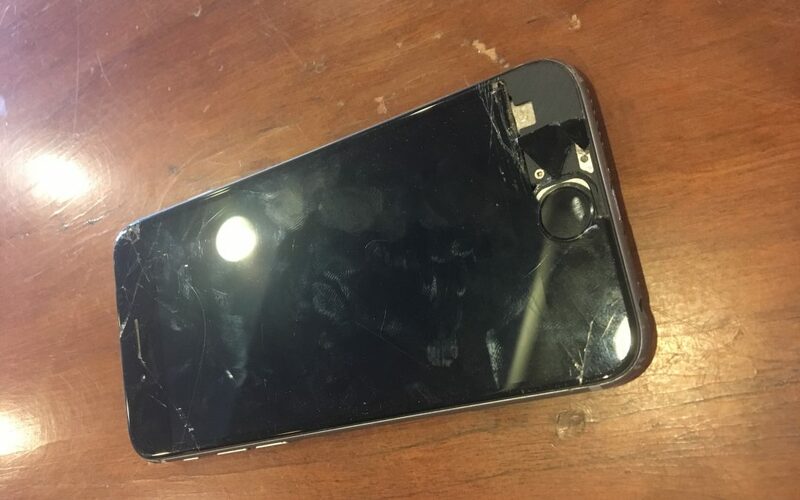 We talked to him about our iPhone repair service and soon after set up an appointment with him to repair his cracked iPhone screen in Detroit. We met him that afternoon at a local coffee shop and repaired the cracked screen in just under 40 minutes. Carl was a happy camper again and was able to catch back up with his friends for the evening festivities, not having to worry about the cracked iPhone screen in Detroit that many of his friends would have bothered him about. Glad we could help, Carl. Let us know if you need any other repairs in the future. 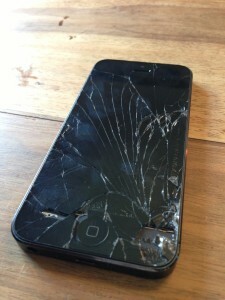 Detroit iPhone Repair – Get Your Cracked Screen Fixed Today! Brian gave us a call today looking for a Detroit iPhone repair service that would be able to assist him with his cracked iPhone screen. Several days ago, he walking walking around the Greektown area on his lunch break. When he went to remove his iPhone from his pocket the phone went falling to the ground, cracking the glass screen. He was devastated. 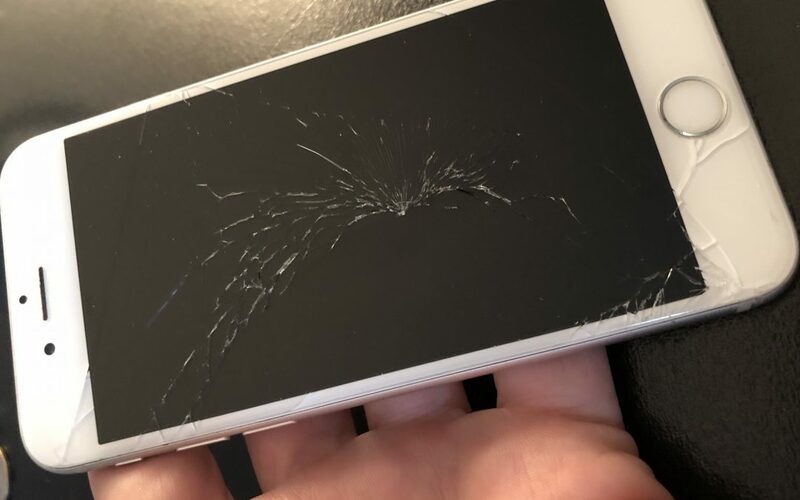 For years he had seen people walking around Detroit with broken and cracked iPhone screens, but not once did he ever think it would happen to him. Now, unfortunately, he was the new owner of a cracked iPhone screen in Detroit. No fun. He was anxious to get it fixed, as the glass was beginning to cut his finger tips everytime he tried to swipe his phone. After a few days of this he decided to look online for a Detroit iPhone repair comany that could replace the cracked screen on his iPhone. Within a few clicks he stumbled upon iRepairMotown and decided to give us a call. Shortly after talking with Brian we had set up an appointment with him at his office in Corktown. In just under 45 minutes we had replaced the broken screen on his iPhone 6 and had him on his way. Brian was very kind with his praise of us and we were delighted to have helped. For anyone in the Detroit area looking for a quick, affordable, and reliable Detroit iPhone repair service, please don’t hesitate to get in touch with us. We’re always happy to help and will work with you to find a time and place that’s suitable for your needs. We do repairs on all Apple devices that have screens. Most of our business, however, comes from cracked iPhone and iPad screens. Give us a call today! We’re here to help!